Use Desktop client which tightly integrates with Windows and provides such handy features like Drag & Drop, global shortcuts like Cmd+C+C and plugin's to popular applications like LaunchBar or Apple Address Book. 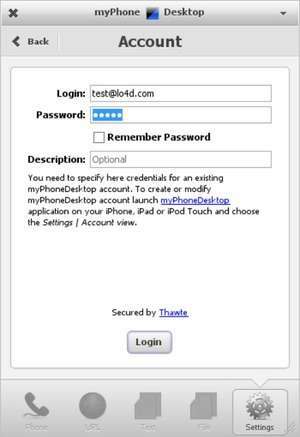 For security reasons, you should also check out the myPhoneDesktop download at LO4D.com which includes virus and malware tests. Additional screenshots of this application download may be available, too.